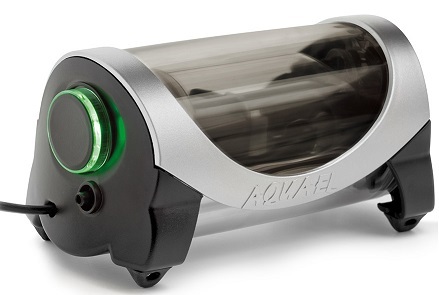 Aquael Oxypro 150 Air Pump is a modern, ultra quiet aerator for the aquarium. I needed to upgrade my air pump to something that could handle multiple tanks and like my review on the aPUMP it needed to be silent due to it being in my bedroom. What did I like about of it? I'm currently running three tanks (45cmx30cmx30cm) on the lowest setting with Biospon filters but it could probably run a lot more tanks with the flow rate turned up! What did I dislike about of it? Note: The dislikes above are due to my situation so if this air pump was used in an area where the noise didn't matter as much then it's not a problem. In fact the noise of the bubbles popping at the surface tended to be more annoying.